Ahh! I told you I couldn't stop with this all of this pie making business. Oh, I wish I got to eat this one though. Instead, it was made for my brother to bring to a dinner party. Exact same recipe as the Peach and Raspberry Crumb Pie I made earlier this week. 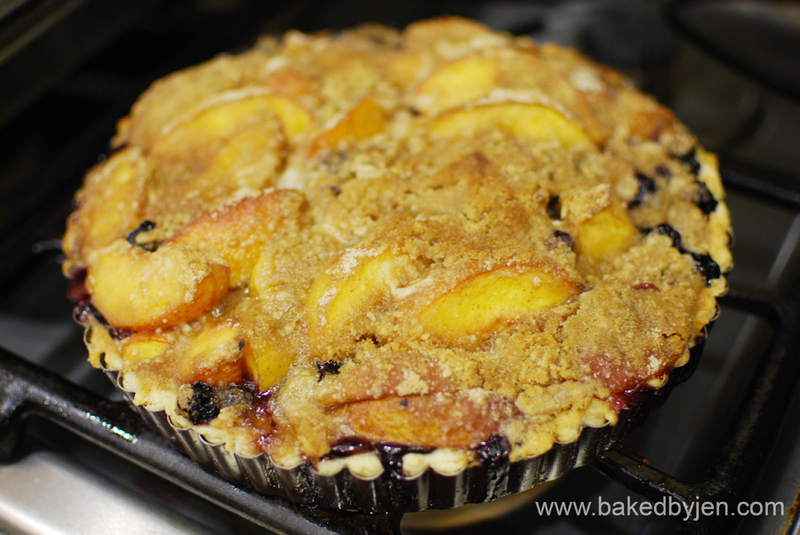 Started with a basic pie crust, added a filling of peaches and blueberries, and then topped of with a crumb topping. Yum!